The government of President Muhammadu Buhari just boxed itself into a corner and the National Judicial Council (NJC) is very pleased to beat the government with a big stick. After last year’s dramatic arrest of nine judges on suspicion of corruption and the sense of relief that Buhari had, at last, taken the fight to the fallen temple of justice (aptly described by Femi Falana as the ‘new supermarket’), the government has been caught on its back foot. Days after the Nigerian Bar Association (NBA) made the ridiculous call for the judges to be recalled, the NJC recalled them without wasting time. What is left to complete the government’s humiliation is a ceremony for the government to convey its profound apologies to the judges for the inconveniences they may have suffered in the last eight months. Of course, the Attorney General of the Federation and Minister of Justice Abubakar Malami has dramatized his anger at the NJC’s decision and has promised that the government would appeal. If he’s pretending to be angry to impress us, he needs to get over himself. It’s the incompetence of his office that has brought this embarrassment on the head of his own government and it’s a pity if he doesn’t understand that. When the NBA, the tail that wags the NJC dog, issued a statement at the end of May saying that judges under investigation should resume sitting and that the government should terminate the charges of corruption filed against them, Malami should have known what was coming next. He should have known that that was exactly the shot in the arm that the NJC needed to rescue its tribesmen from disgrace. Curiously, he let it slip. Then came the second chance to show that the slip up was, well, a mistake. Six days after the NBA’s statement, the NJC issued a statement on Saturday asking the judges to resume on Wednesday – all of this happened within eight working days. Again, Malami let the eight days slip. If the AGF and his team of nearly 1,000 lawyers in the Ministry of Justice could not file any charges in eight days (worst case by Monday) to potentially save the country from the spectre and embarrassment of a few judges sashaying from the dock to the bench, then I think the honorable minister should seriously start thinking of something else to do. A faction of the NBA, the NJC and their political wing in the National Assembly have always wanted to cripple the anti-corruption war, discredit it or have it on their own terms. The minister is lending them a hand. The NBA is right in saying that eight months is a long time to arrest the judges without filing any formal charges against them. But surely these lawyers cannot pretend that a court system that subjects tens of hundreds of other citizens to this same misery should work differently for judges. The Comptroller General of the Nigerian Prison Service said in March that out of the 68,000 inmates in the prisons, 46,351 or 68 percent are awaiting trial. Some of them may have been detained for years for giving their dog a bad name, but the NBA does not think it has any business to speak up for them. Of course, it begs the question, why the delay after the dramatic arrests eight months ago? One of the reasons why the Lagos State judiciary remains exemplary is that Vice President Yemi Osinbajo, who was then Attorney General and Commissioner for Justice, took personal responsibility for the implementation of the reforms. He was a professional, not a politician. He did his homework, copied and adapted the best examples and practices wherever he could find them and personally led the state’s legal team to court when it was necessary. He provided leadership. Under Malami, it would seem that leadership means a commando-style raid on the judges and letting foreign travels do the rest. There are credible reports that when the Ministry was preparing the charges against the judges, the Minister was away on a foreign trip to Turkey, while his staff were groping. It may well be that he traveled to save the Republic, but home is where the redemption is most needed. Malami must get that clear. The anti-corruption war is one of the major pillars of Buhari’s agenda, and if the man who should lead its legal charge is distracted, confused or perceived to be incompetent, then the war is lost. Of course he cannot do it alone, and no one is suggesting that he should. It is within his powers to ensure that the anti-corruption agencies – the EFCC, the ICPC and the Code of Conduct Bureau – are giving their best; it is his duty to make any changes necessary, where this is not the case. It was also to strengthen his hands that the National Prosecution Coordination Committee was launched last year for high profile corruption cases, and that was months after the Itse Sagay-led Presidential Advisory Committee on Corruption was also inaugurated. So, instead of pretending to be upset and vowing to close the stable after the horse has bolted, Malami must tell the public why, in spite of the range of assets available to him, he could either not file charges against the judges or did so in a manner that suggests he was pleased to cut off the tail of the snake. The NJC does not smell of roses either. How can it say, with a bold face, that judges with such heavy clouds of suspicion hanging over their heads should resume and start judging others? How can the Council, against the most elementary requirement of equity, maliciously ignore petitions against its own members and ask them to continue sitting in judgment over others? Is this what the Lord Chief Justice Walter Onnoghen promised at his swearing in when he said he would fight corruption? Have we, milord, entered the phase of two laws, one country? Recall is not acquittal, so perhaps Malami has another chance to save himself and his government’s reputation. It’s also heartening that the offenses for which the judges were arrested are not time barred. If NBA President, Abubakar Mahmoud, wants to lead a delegation of the NBA to apologize to the judges on behalf of its members and enablers, that’s fine. But Malami has to show, within the next two weeks, that he is ready, willing and able to bring the judges to justice. In the fight against corruption, he has to show the presence of mind and leadership that his office and the country deserve. Else he might as well resign and start his Kebbi governorship campaign immediately. Azu Ishiekwene is the Managing Director and Editor-In-Chief of The Interview and board member of the Paris-based Global Editors Network. I have come to the realization that Nigerian leaders are dumb, and we the citizens are even dumber. With the news media replete with news of the mindlessness, self-aggrandizement, looting, pillaging and personal enrichment by our politicians, we the citizens just talk about it and bury our heads in the sand as if this too shall come to pass. With the economic recession biting so deeply into the lives of the average person, our leaders put on blinders while we seem to have resigned to our faith that nothing is going to change. Rather than focus on getting our system right, we engage in all kinds of vices as shortcut to make ends meet. In the papers, every day, you read about ritual killings, armed robbery, kidnapping, killings by our so called protective forces, conflicts and clashes between the cattlemen and farmers. You hear about politicians making crass and insensitive statements that make you scratch your head and go “huh”? What do we do in response? We engage prayer warriors and flock in thousands to fake churches, hoping that God will come down from heaven and rescue us. The fight against corruption is almost dead due to lack of support, tribalism, partisanship, and an inept as well as unethical judicial system that makes no sense. It is amazing that after one year of fighting corruption, we have nothing to show but court appeals and counter appeals. Nigeria’s purported annual budget designed to help the country out of recession remains unimplemented for one reason or another. If the fight against corruption, as some argue, is tilted, with the All Progressives Congress (APC) only investigating and prosecuting members of the Peoples Democratic Party (PDP), so be it! Hell, if or when the PDP comes to power, they will have the opportunity to investigate and prosecute APC members – and that is if they will ever get their act together enough to regain the center. We watch as errant Governors make pronouncements that border on treason, separatist movements agitating for their own destinies, as if it is a cure-all for our woes. Our elected representatives enact state laws that fly against the constitution, and federal laws that trample on the state rights and the rights of the common man. We have no electricity but still pay our electric bills every month. No basic amenities such as roads, water, sewer and drainage systems, but pay all kinds of dues as part of Internally Generated Revenue, to our leaders to divert for their own personal benefits. We read how much monies our leaders arrogate to themselves, how they convert public property and vehicles for personal use, how they donate public funds to their preferred personal projects, and award contracts to their friends and cronies who are barely qualified to execute such projects. The Internet is saturated with gruesome and unsavory images of dead bodies caused by accidents, lynching by angry mobs for unsubstantiated and petty crimes, and people harvesting body parts for rituals. Many of our young women have now turned to prostitution as a survival mechanism – serving rich businessmen and politicians, while some young men have turned to kidnapping. Meanwhile their schools have remained as dilapidated as ever. Every day, our leaders jet out to exotic cities, spending millions of dollars to vacation and to receive medical attention—even as Nigerian hospitals remain dilapidated and unmaintained. American presidents do not vacation or go overseas for medical treatment. They made sure that they have all they need within their shores to take care of themselves. Not Nigeria. We are content in reaping where we did not sow. It does not matter that the citizens that elected these dumb politicians are dying by the scores for ailments that could be cured by simple antibiotics, yet we stand and shout about whose political party is being victimized for embezzling our money. The question would be, does our political elite not know about the state of the economy? Do they not see these gruesome images on the Internet? Do they not understand the impact of all these stolen monies on the economy and population at large? Do they not drive on these tattered roads with their 4-wheel drive vehicles? Do they not smell the stench coming from feces due to lack of functional sewer systems? Are they too blind to see the erosion eating away at our landscape due to lack of proper drainage system? Do these political “leaders” not hear the cries of the masses, the dying, the infighting, and the confusion? Hell, yes, they do! They just don’t care. They have concluded that the masses they are charged with looking after are even dumber and that they could get away with anything regardless. That’s about the only way one could explain their illogical and immoral behaviors given the decay that Nigeria is facing today. The Nigerian elite is so dumb and arrogant they no longer understand that they are tied to the faith and future of that country. They the lack morals and foresight to understand that whatever the image of Nigeria is overseas, such is their image! If our leaders are DUMB, we who elected them are even DUMBER! With our country failing, we bury our heads in the sand, talk politics all day, and pray all night. To cap it all, whatever little earning we have, rather than invest in worthwhile projects, we relinquish them to our churches while our children starve to death. We are dumber because we have failed to ask the right questions of our political elite or anyone in power. We lack so much self-esteem that we are content if anyone from our state is in power and gloat as if they were our blood relatives. No, it does not matter that this so-called attitude is negatively affecting our daily lives. No, all that matters is that the sense that we have someone in power. We hold on to that illusion even when we cannot feed our family today. We are so dumb and hence the reason we never ask ourselves why I should pay electric bill when I have no light? How long will that cup of rice, distributed by my senator, last for my family and me while the senator siphons all our monies overseas? Why do I need a governor and local officials when there are no roads, functional hospitals, storm drainage system or running water? All we do is pray, fast, complain everyday about how Buhari is Buharing every one. Reinhold once said, “God grant me the serenity to accept the things I cannot change, and the courage to change the things that I can.” Nowhere did he ask God to do anything for him, only grant him the courage the change the things he could. Nigerians have no courage! We are all cowards! Our leaders have done a fine job of feeding us fish every day and now we cannot fish for ourselves. Change does not happen by divine intervention. Change happens because people got sick and tired of being sick and tired. However, Nigerians are never fed up, we hold onto this belief that one day a Chineke will come and rescue us. The question is why? An economist once opined that Nigeria is a country where the worst never happens but nothing ever gets better. That in a nutshell is a description of why we are still suffering and smiling. Our stupidity today has been confirmed! Even as things are getting worse, still we endure and shout fire, fire, fire every day. Well, we’ve got fire all right. Today any separatist with a twitter is calling for the separation of the country. I ask myself why? If we are not able to manage this country Nigeria that was handed to us in tact by the British, what makes you think we could better manage it broken apart. The truth of the matter is that Nigeria has become a country of “chop-I-chop” and those advocating for a breakup of the country are simply perfecting a ruse for another set of greedy selfish persons to gain access and perpetuate the same pillaging we see today. In my previous article “Buhari, Now What” I outlined how every person in that country has a role to play in our progress, but are we playing those roles. This is the time to start taking your country back. For starters, if the government does not supply you with electricity 75% of the time in a month, don’t pay the bill. What will they do, disconnect the light that you never had? Since the government has refused to provide us with proper road amenities, send a clear message to your elected officials and put them on notice that your vote is going to someone who will work to pave the roads! And mean it! Show your faces in the numbers and demand to know – it is your right. If you believe that paying a senator N250,000,000 a month is over the top, ask them to reduce it! Picket, demonstrate and rally peacefully. Inform your local representative that if those numbers do not change, he will be unemployed come election time. Having said all these, I venture to make one prediction. Nothing will happen. In Nigeria, our leaders are dumb and we the citizens are even dumber. The three key issues that constitute the topic of this presentation – Unity, Diversity and National Development – are among Nigeria’s greatest challenges. Unity has been a scarce commodity among our country’s diverse peoples and communities, as a consequence of the way and manner the country was put together by British colonial authorities and our collective failure as a people to create a true and viable nation out of the union. This has become a major source of disquiet, anxiety and frustration and a veritable obstacle to national development. Disagreements and controversies over the best political structure to be adopted, size and responsibility of government, the nature of relationship between and among component units, the type and system of government, as well as how resources available in and accruing to the country should be allocated have continued unabated. Those controversies have sometimes threatened the very existence of the country. A huge pall of pessimism hangs over a section of the citizenry, and the ranks of those who harbour real doubt about the future of the country swell by the day. The country is truly at a crossroads, and things are made worse by the cocktail of economic, social, political and problems which we have had to contend with, and which add to the abysmally low estimation of our country even by its own citizens. However, I am not here just to lament over the sad and unenviable state of affairs in Nigeria. I firmly believe in the viability of the Nigerian Project, I remain unshaken and completely persuaded that we can eventually change the story of Nigeria for good by collectively making Nigeria a productive, prosperous, peaceful and united nation whose people are happy and contented and one that is able to really lead Africa and assume a pride of place in the comity of nations. But to achieve that, we must elevate and steer conversation away from empty rhetoric and platitudes. We must instigate and see to the full and faithful implementation of profound changes in the political structure, organization, functions and performance of state, and a radical re-organization of government, its organs and personnel. British colonialism created a country where over 350 ethnic and language groups compete for space and attempt to coexist, in spite of obvious differences in culture, aptitudes and level of development. But then, we were not entirely alien to one another: there are documented evidences that, prior to the coming of the Europeans, our ancestors had interacted with one another through trade and commerce, wars, inter-marriages, religion, etc. Yes, we are diverse, plural and complex, but we are not so different from one another that we cannot live together. Whatever we may think of the creation of the country, we are one now and should do the needful to make our unity work for us and also endure. Our challenge of lack of unity has been part and parcel of our chequered history. Yes, our First Republic national political leaders, at some point found it easy to mobilize, capture and consolidate power as regional and ethnic champions. However, by the second general elections after independence, in 1965, alliances and coalition politics had produced national parties, groupings and cleavages whose structure, reach and membership transcended regions and ethnicity. Despite the tragic events leading to the collapse of the First Republic, the civil war and even l3 years of military rule that followed there did emerge a national – rather than ethnic or regional – elite class, as evidenced by the politics of the Second Republic and thereafter. Successive governments have attempted, with varying degrees of success, to address the problem of lack of unity and the tendency toward primordial attachments through deliberate policies and programmes. However, the problem has persisted partly because we have failed to consistently provide good governance; failed to take full advantage of the very many pluses in our diversity – to use it as a source of strength rather than weakness and, consequently, it remains easy to manipulate the people by appealing to their base sentiments. There are several reasons why we have failed to be welded into one nation after over a hundred years since we became one country. I would like to talk about the nature of the country’s structure as one factor. We purport to operate a federal structure, but over the years our federalism has experienced fundamental distortion to the extent that there is now a huge, acrimonious debate as to the true nature and character of our brand of federalism. I call it unitary federalism because while we still have a formal federal system, the centre has become too powerful relative to the increasingly unviable federating units. As regions, the different levels of government were fairly viable, notwithstanding their modest financial standing, and were largely administered according to established rules and procedures. Accountability, probity and relatively prudent management of resources were evident. The citizens were happy and substantially felt part of the governance process – at least they recognized the existence of government, paid their taxes and could point at tangible deliverables from government. Then came rising crude oil revenues, military rule and the excessive centralization of power and concentration of resources at the federal level at the expense of the federating states. The Federal government came to assume too many responsibilities to the extent that our current constitution has 87 items in the Exclusive Legislative List while only 15 items are in the Concurrent List, which the federal government can also dominate. Now as “indigenes” of states, the citizens are largely disgruntled and unhappy. And although most of them don’t pay taxes directly to the government coffers, they often feel short-changed and complain of abject neglect. They hardly feel that they are part of the governance process, and they often hold their leaders in contempt – or at least they are more likely to blame than praise their leaders. Some have emotionally, and for all intents and purposes, completely de-linked themselves from the Nigerian state and now inhabit a surreal world where they believe in all sorts of strange ideas. We purport to operate a federal structure, but over the years our federalism has experienced fundamental distortion to the extent that there is now a huge, acrimonious debate as to the true nature and character of our brand of federalism. What went wrong? We have 36 states and the FCT that are almost totally dependent on proceeds from the federation account to even fund their overheads. Thus they have hardly focused on inventing avenues of diversifying revenue collection from internal sources states such as Lagos has been doing in recent years. So we are shouldering the burden of nearly 36 dependent bureaucracies, most of which commit at least 75 percent of their annual budget to recurrent expenditure. We therefore have an almighty federal government that has assumed so much powers and responsibilities that it does virtually everything either alone or in tandem with the other federating units. In the end, very little gets done at both the federal and state levels. The people get disillusioned, and in frustration they embrace and imbibe all sorts of views, beliefs and ideas including ones that suggest that people from the other ethnic, religious or regional group is responsible for their woes. To be sure, good leaders do make a difference in the fortunes of countries. However, leaders operate within structural constraints imposed by constitutions, laws and regulations and the local and world economy. But the most germane question we need to ask ourselves is: must we really continue to live together as one country amidst such pervasive climate of disunity, which is impeding our development? My prompt answer to this is yes, we should remain together, because it is the best option, and because we will be stronger, greater, and better in one piece than in pieces. In the global scheme of things our economy is too small to be broken into several pieces. We can always discuss the basis and terms of our unity with a view to finding ways to make it stronger, our development more rapid, even and fair, and our politics more stable. We simply have to find ways solidify and strengthen our union and making it conducive for development. And that includes re-examining the terms of our union and, where necessary, affirm or adjust some or all the terms, particularly in relation to the structure and functions of the Nigerian state and its component parts. WITHER DEVELOPMENT IN A SKEWED STRUCTURE? Some people have talked about the federal system of government as if it has universal features and all federal working systems have similar characteristics. But that is not the case. A careful look at different societies that operate the federal arrangement shows that they differ from one another in remarkable ways. There isn’t no “true federalism,” so to speak. A people always decide on the nature, shape and content of their preferred federal system based on specific histories, peculiarities and needs. The problem with our federalism is that over the years it has become so skewed in favour of the centre that it impedes our economic development, distorts our politics, weakens our people’s commitment to the country and threatens our existence as a united country. It is, therefore, necessary to discuss and agree on the kind of federal structure we desire. Reverting to the regions of the past seem untenable because those minority groups which feel that they have been liberated from their bigger, dominant neighbours, are unlikely to accept a return to that older order. We may consider using the existing the geo-political zones as federating units because they will be more viable economically and address some of the minorities’ concerns? If we prefer to keep the current state structure, could we consider introducing a means-test such that a state that is unable to raise a specified percentage of its revenues from internal sources would have to be collapsed into another state? Our beloved country has been in the throes of severe and debilitating social and economic problems. Virtually all the development indices have not been favourable: massive and pervasive poverty, double-digit inflation, unemployment, dwindling foreign exchange receipts, poor GDP growth rates, high infant and maternal mortality, high levels of illiteracy, and millions of school-age children out of school. My take is that we will likely continue to grapple with such problems unless we get the structures of our federalism and governance right. Our current system, which is characterized by a focus on sharing rather than production, is clearly not conducive to development. For Nigeria to develop – or even make any appreciable progress – we must re-structure Nigeria’s political, administrative and political architecture. That way we can free resources that would otherwise go to unviable ventures and projects, then commit same to areas that directly cater for and benefit the people. Restructuring will facilitate the emergence of a leaner bureaucracy, enhance efficiency, block wastages and promote more prudent management. It will make for happier constituent units more committed to the progress and unity of the country and the emergence of a sense of nationhood. How do we do that? We should, first, dispassionately and painstakingly re-visit our 36-state structure vis-a-vis the idea of overly dominant federal government. Second, we should devolve power from the centre to the federating units: many of the items in the Exclusive List should be devolved to the states or any other agreed federating units. Third, that devolution of powers must include an end to federal intrusion in local government administration. The so-called States/Local Governments joint account has virtually absolved state governments of responsibilities to fund local governments while they virtually confiscate the funds allocated by the federal government to the local government. To have the federal government create local governments and directly fund them makes nonsense of the word “local.” Those powers should be vested in the state governments. And it should include an end to federal ownership of interstate roads, schools, hospitals and the uniformity in remunerations across the country. Fourth, we must sit down, discuss, and agree on the nature of our fiscal federalism – how to share our resources. I am on record as having advocated for the control of rents by the federating units from which they are derived while the federal government retains its powers to levy taxes. That will make us all productive again and our federating units to engage in healthy rivalries and competition, which will only result in more progress. There is no doubt in my mind that that structure of our federation and governance constitute an impediment to our economic development, political stability and social harmony. Changing them would help to place our country on a path to phenomenal and unhindered development. To persist in what we are doing now is to do injustice to ourselves and jeopardize our future. We should endeavour to effect the needed changes by talking among ourselves and across our various divides – engaging in meaningful dialogue. We should take full advantage of the democratic spaces and institutions to instigate positive conversations in that regard. Given the right environment, there is hardly a limit to what a people can do for themselves by themselves. I thank the Daily Stream newspaper for the opportunity to share my thoughts on these issues. And I wish you many years of excellent, fearless, responsible and accountable journalism. Mohammed Bello Adoke, attorney-general of the federation and minister of justice from 2010-2015, has been in the news over the controversial OPL 245 block awarded to Malabu Oil and Gas. The Economic and Financial Crimes Commission (EFCC) has filed charges against him but Adoke, who is currently on self-exile, told TheCable in an email interview that he did no wrong. He said it is some powerful interests that are using the anti-graft agency to persecute him. TheCable: Your name has featured prominently in the investigations into the Malabu Oil/OPL 245 affair. What exactly are the issues in this messy deal? Mohammed Adoke: The Malabu issue has been in existence since 1998. I want to take it from 1998 because I have seen that in recent times, the EFCC has taken up interest in the matter with a view to persecuting me. In order to make me look bad they have deliberately bifurcated the transaction and have chosen to present the issues from 2010 when I became involved in the settlement. However,the transaction started in 1998, when the military administration of General Sani Abacha came up with the policy of encouraging indigenous participation in the upstream sector of the oil and gas industry. They allocated oil blocks to indigenous companies on discretionary basis at a reduced signature bonus of $20 million. The beneficiaries include Malabu Oil and Gas Ltd, South Atlantic Petroleum Ltd (owned by Theophilus Danjuma) and Famfa Oil Ltd (Folorunsho Alakija). Malabu was allocated OPL 245 and they made a part-payment of $2 million for the signature bonus and brought in Shell as technical partners. Things seemed to be going on smoothly. Gen. Abacha died and Gen. Abdulsalami Abubakar came in, and things continued. And then he handed over power to Gen. Olusegun Obasanjo in 1999.
mala fide (in bad faith) and declared it null and void. It therefore passed a resolution that the block should be returned to Malabu. Government did not comply with the resolution, so Malabu went to court and there was a series of litigation between Malabu and the FGN until sometime in 2006 when they entered into an out-of-court settlement which was subsequently reduced to a consent judgment of the federal high court, Abuja under the tenure of the then attorney-general of the federation, Chief Bayo Ojo, SAN. As a result of the agreement and all the conditions set out to be met by all parties, Chief Edmund Daukoru, who was then the minister of state for petroleum resources, wrote on behalf of the FGN, and on behalf of the president and commander-in-chief of the armed forces, and who incidentally was the minister of petroleum, Chief Olusegun Obasanjo, GCFR, to convey the decision to return the block 100% to Malabu in accordance with the terms of settlement. Adoke: Shell was dissatisfied with the return of OPL 245 to Malabu and commenced arbitration before the International Centre for Settlement of Investment Disputes (ICSID) which is an organ of the World Bank for the settlement of investor/state disputes. This matter was ongoing when President Umaru Musa Yar’Adua came into power in 2007. He set up an inter-ministerial committee to try to resolve this dispute between Shell, Malabu and FGN. Shell at that time offered to pay Malabu $500 million in addition to giving them some percentage of shares in the block. For some reason, the agreement had not been signed when President Yar’Adua died. In 2010, Malabu wrote a letter to President Goodluck Jonathan, GCFR, to complain that there was an agreement between them and FGN that was yet to be implemented. The president sent the letter to me to examine and advise. Based on this, I went through all the documents. I did due diligence on all the legal aspects and found a subsisting consent judgment of the federal high court and the settlement agreement between the parties which was executed on the 30th November 2006 and therefore advised that the judgment was enforceable. That is how I came into the OPL 245 picture. TheCable: Is that all there was to your involvement? Adoke: Well, President Jonathan approved my recommendation and endorsed a copy of the approval to myself and the honourable minister of petroleum resources for implementation. After that, the minister of petroleum issued the licence to Malabu. After the issuance of licence, Malabu was expected to pay the signature bonus within a period of 180 days. While Malabu was going around looking for technical partners because they were not ready to deal with Shell again, Shell, relying on its dominant position in the industry, issued a caveat to other IOCs that it had interest in OPL 245. This prevented other IOCs from pursuing their own interest in the block or entering into a working relationship with with Malabu. As a result, Malabu could not move forward, and neither could Shell. Indeed, Shell was trying to claim over $2 billion from the federal government. It claimed to have spent over $500 million on the block. They also listed loss of revenue and claimed damages. TheCable: But did Shell have any genuine claims? Adoke: If you look very well at the situation, we were in a dilemma. Why? Shell itself knew that this block was a problematic block to the extent that there was a pending litigation in court at the instance of Malabu in 2001. That is why they did not pay the entire signature bonus when they were initially allocated the block by the Obasanjo administration. They paid $1 million into the federal government account and paid the remaining $209 million into an escrow account jointly managed, please note, jointly managed, by both Shell and the federal government of Nigeria. A Shell representative was a signatory to that account while the minister of state for finance and the accountant-general of the federation were the signatories on behalf of the FGN. The three signatories were therefore required to approve any disbursement from the escrow account. TheCable: But since Shell was aware of the pending litigation, why did they go into the transaction at all? Adoke: Shell will have to explain that, but I guess they had reasonable assurances that they would be allocated the block and that made them go ahead to de-risk the block. If not, they wouldn’t have gone ahead to de-risk and they would not have had any claims against the government of Nigeria. They were obviously working with assurances then. But with Shell having gone ahead to de-risk the block, the same federal government revoked the block and gave it back to Malabu with a promise to give Shell another oil block with commensurate value. But Shell said they had spent so much money on de-risking OPL 245 and that was the basis of their arbitral claim. They saw the reallocation an as expropriation of their own asset. That was what made it investor/state arbitration. These are all the issues that my persecutors are hiding from the public and they are trying to bifurcate it by only treating it as an issue of 2010 when I advised on the enforceability of the judgment on the basis of which President Goodluck Ebele Jonathan, GCFR, approved its implementation in order to honour the agreement reached with Malabu. After President Jonathan returned Block 245 to Malabu, ENI of Italy began to show interest in partnering with Malabu. ENI approached Shell with a proposal to partner and jointly acquire the oil block from Malabu. ENI approached the government to confirm if the allocation to Malabu was genuine and we authenticated it on the strength of the documents before us. They now came back with Shell and said they wanted to jointly acquire it but there had been a breakdown of confidence and respect between Malabu and Shell following years of legal battles. As a result of the mutual suspicion, they needed a third party to come in and help broker the deal. Shell did not trust Malabu and Malabu did not trust Shell. And here was ENI coming in as a partner with Shell. If that atmosphere of distrust did not exist, the involvement of the FGN would not have been necessary. All that would have been required was FGN’s consent to Malabu to assign the oil block to Shell and ENI. We agreed to negotiate a settlement between Shell and Malabu on the condition that they would withdraw their arbitral proceedings against FGN. Shell in compliance with our demands terminated the arbitration. All the parties came together and negotiated directly, a committee was constituted involving officials of NNPC, Directorate of Petroleum Resources, the Federal Inland Revenue Service, State House counsel and officials of the ministry of justice. They sat down for two to three days, negotiated all the agreements, and they sorted things out. After the requisite presidential approval was obtained, the final Resolution Agreement on OPL 245 was signed by the minister of petroleum resources (Diezani Alison-Madueke), the finance minister at that time (Segun Aganga), myself as the chief law officer and attorney-general, the group managing director of NNPC, and all the departments, agencies and ministries of government directly responsible in dealing with this issue were duly represented. This was well captured in the public hearing by the house of representatives in 2013. The copy of the report is there in the national assembly. We all played our respective roles in order to give effect to the transaction. But today, the impression out there is that only Adoke knew about it and was solely responsible for the transaction, but that is a story for another day. The president was duly briefed about the transaction, about what has taken place, about the $210 million signature bonus that was to be paid, which had already been warehoused since 2001 by Shell in an escrow account jointly managed with the federal government. Shell wrote to say they were satisfied with the agreement and then signed off their own portion of the instruction that the federal government should take the $209 million in the escrow account in addition to the $1 million it had already paid in 2001. The minister of state for finance and the accountant-general of the federation signed off their own portions after the approval of the president. Shell and ENI were to pay $1.1 billion to Malabu to buy the block off them. TheCable: In essence, you authorised the transaction and the president signed off on it? Adoke: No, I did not. I only conveyed the approval of the president to all the parties. Those are two different things. I did not authorise the transaction as I was not a signatory but only conveyed the president’s approval. Adoke: JP Morgan issued the payment the first time to a bank in Switzerland and it was returned for one reason or the other. They tried to send the money to another bank, and the Swiss banks kept rejecting it. It was within that period that Malabu had problems with some of the middlemen that helped them in negotiating the transaction with Shell and ENI. One of them said he was supposed to be paid $215 million for his services and Malabu told him to go and meet ENI for his payment. So he went to court in the UK and obtained an injunction. Before this money could be finally wired to Switzerland, JP Morgan had been served a court order. JP Morgan now reverted to me as the chief law officer of Nigeria saying, Look, there is this court order restraining us from disbursing $215 million from the money. They asked me what they should do. Of course, as a lawyer, I told them to comply with the instructions of the court and make sure they domiciled the money until the court decided otherwise. The spin they are putting on it today is that I authorised the payment of $801 million. But what I said was that since there is no restraining order on the balance, then pay it to the beneficial owners. That is it. That is why they are spinning now that Adoke authorised the payment of $801 million. That is the truth, the whole truth and nothing but the truth. After this was done, Mohammed Sani Abacha came up from nowhere and one Lawal Abba came up from nowhere and said he was representing the interest of former Vice-President Atiku Abubakar, that he had a power of attorney, that Atiku had shares in OPL 245, and that when this money is paid, we should make sure that they were also paid for their interest. And I said to them, the federal government of Nigeria does not work for individuals. This is a shareholder issue. This is an asset of the company. Why don’t you people call a meeting of the company? If there is no agreement between you people, go to court to find a way out. That was where the problem started for me. It was at that point that AA Umar wrote us a letter saying they represented the interest of one Mohammed Sani, which turned out to be Mohammed Sani Abacha as he has now finally come out to challenge the agreement in the open. He said if the federal government does not make sure that they are paid, they would embarrass the federal government of Nigeria. I dismissed the threat because I don’t work for them. My loyalty was to Nigeria and I had discharged my responsibility to the best of my knowledge. I had finished my assignment and moved on. TheCable: Was there any further correspondence from them thereafter? Adoke: Well, true to their threat, I started seeing sponsored articles against me in the media. I was not in the country when the first article was published. The solicitor general (then Abdullahi Yola) did a rejoinder, which he ran as an advert in the newspapers telling Nigerians the true nature of the transaction. I understand that the Abacha family had 60% of OPL 245, which was awarded while he was in power. As I told Mohammed Abacha, if I knew they actually owned 60% as they claimed, I would have got a court order to forfeit those shares to the FGN because they had violated the terms of Decree No 53. During General Abdulsalami’s adminsitration, they were made to disclose all their assets and liabilities and forfeit them and they were supposed to be transparent about it. In other words, they were in violation of that decree by not declaring their interest in OPL 245. It was unfortunate that I was not aware of it until the settlement had been completed. Ever since then, they have done one thing or the other to impugn the settlement and/or tarnish my reputation, sponsored all kinds of misinformation about me, sponsored public hearings on this issue of OPL 245. They have made damaging remarks. And at a time in point, Mohammed came and told me that they were behind the public hearing and that if we can get one or two concessions from me, they would tell the house of rrepresentatives to stop the hearing. I told him, Please Mohammed, go ahead with your public hearing, I have nothing to discuss or negotiate with you. Meanwhile, at some point, Lawal Abba came and told me that his principal said if I could help them get what they wanted, I would get a share of $30 million. I told him I don’t need it. I don’t have that kind of money and I don’t want that kind of money. I’m a public officer and a professional. When I finish from here I will go back to school. But because of the kind of job he does as a commission agent, he thinks it is impossible to have a public officer turn down $30 million. He concluded that my refusal was because the other party must have given me money. I’m surprised he thought that way. This was the same person who sought to influence me on the probe of the Yar’Adua expressway contract. There were allegations that Julius Berger inflated the contract. A committee was set up and I was a member. The then secretary to the government of the federation, Alhaji Yayale Ahmed, a very respected man, asked me to write the report of the committee. This same Lawal Abba came to me and said he knew them at Julius Berger and that if we wrote a favourable report, they had a budget for me. I told him off. Now if I could reject inducement in such an uncomplicated matter, why would I collect his money on OPL 245? Let me state clearly that while this controversy raged, I on my own volition briefed the heads of EFCC and ICPC at the time, showed them documents and told them all they needed to know about the OPL 245 transactions. I had nothing to hide. They said they were convinced and that I did nothing wrong. And I put it behind me. My philosophy was that dirt would be thrown at me, and whatever dirt was thrown at me was the price to pay for being a public officer. The truth will come out someday. The truth is already coming out. But I must say this: never in my imagination did I think that a day would come when I would be treated like a petty criminal, forced out of my country in questionable circumstances, humiliated, disgraced, simply because some people feel they must settle scores with me because I refused to play to their dictates. I am prepared to pay the price for serving my country. But in paying the price, it must be within the parameters and the framework of the rule of law. I’m not running away from Nigeria, contrary to what people might think. I have my reasons for not returning to Nigeria. But the truth of the matter is that I will also not throw myself into the path of a moving train because I want to prove that I am courageous. I need to be alive to tell my story. After that, anything can happen. TheCable: EFCC says you exchanged more than $2.2 million at a bureau de change in Abuja as part of your own share of the bribes that were distributed to facilitate the Malabi transaction and that is why they want you back in Nigeria for interrogation. Adoke: Let me tell you this story. After I was re-nominated as minister in 2011, my security detail said I could no longer be allowed to live where I was living, that I needed a safe house. They said my house was not befitting of my status and was not safe. They said one of my predecessors, Chief Bola Ige, was killed so cheaply and they would be failing in their duty if they did not adequately secure me. I turned down their request. I told them it was their duty to secure me. So we continued like that, but the pressure to relocate did not stop. My salary was less than N500,000 after all deductions. The total was like N900,000, but it was from there I paid my PA and driver, fuelled my cars and paid other expenses at home. I never drove a government car. I drove my personal cars. I told my security detail I could not afford to move house. When the pressure did not subside, I approached my bank. I used to be the chairman of the audit committee of Unity Bank. I told them I needed a mortgage, that I was looking for a house. Aliyu Abubakar is a builder and a developer. I’d known him for many years. He told me he had some houses he was building and that he would sell one to me for N500 million. The bank said I should make an equity contribution. While the bank was prepared to give me N300 million, they expected me to contribute N200 million. The bank approved the mortgage and raised the cheque in the name of the developer, gave the developer the cheque in exchange for the certificate of occupancy. The development was not moving at the pace which the developer promised. I was also in default because I was unable to sell the land I wanted to sell to raise my own equity contribution of N200 million. I had proposed to him to use my land, let us quantify it, it was worth more than N200 million at the going price, net it off and return my balance to me. He said no, he wanted cash. After some time, I couldn’t sell my land. Interest was accumulating on the N300 million loan from the bank. At a point, I had to pay interest of about N40 million. I told myself, I am sitting in my four-bedroom town house, I am enjoying myself, now these security people want to put me in trouble. I don’t want to leave office and it would become a problem for me. Then my banker called me and said, Sir, the CBN is making a case about this your loan, that it is becoming sticky, and you know because you are a politically exposed person, you should do something about it. As I was ruminating over what to do, the developer came back to me and said CBN was interested in my property, that he wanted to pay me back my money and then take back the house. He asked for the certificate. I reminded him that he gave it to the bank. I said he should go and tell the bank that since I was unable to pay, he would refund the mortgage and retrieve the certificate. They told him they would release the certificate as soon as his cheque cleared. Apparently, CBN had already given him part-payment for the house. He went to the bank and paid. I don’t know how he paid. I don’t know if he paid them dollars, if he got the bureau de change to change any money, I was not aware. It was between him and the bank. He just said the bank had given him the certificate. The MD called and said, Thank you minister, the man has paid the money and we have given him the certificate of occupancy. I thanked the bank and told them to close the account. When EFCC was trying to find something against me and did not find anything, one day they were going through the accounts of the developer, they saw a payment from Unity Bank and summoned him. They asked him to explain. He told them the story I have just told you. They said, where is the house? They wanted to go and put the EFCC caveat there. He told them it was no longer my house, that CBN had bought it and paid for it and because I couldn’t pay him the complete money, he paid back my money to Unity Bank and retrieved the certificate of occupancy. He told them he gave Unity Bank dollars and they changed it at a BDC. EFCC is now saying it was Adoke that went to change Malabu bribe money at a BDC. But this is a simple question to ask: Malabu transaction took place in 2011. All the payment processes commenced 2011. I didn’t collect bribe in 2011. I didn’t collect bribe in 2012. It was now in 2013 that I collected bribe on a transaction that took place in 2011. Please does that make sense? Two, does it accord with common sense that for a transaction of $1.1 billion, I would take a bribe of $2.2 million even if I wanted a bribe at all? The same me that turned down a $30 million bribe offer? A bribe is supposed to induce you to do something. Why would I collect a bribe two years after the transaction had been concluded? Please does it make sense? All form of dirt is being thrown at me for no reason. I understand one of my traducers said, How can a man be so clean? We’ve searched and searched and we can’t find anything. We must find something to pin on him. One of the in-house officers, who has come under the influence of Mohammed Abacha and Lawal Abba, said they could pin the BDC transaction on me. EFCC is even trying to use the fact that Aliyu Abubakar is an Ibirra man like me from Okene as evidence. That is how desperate they are in their bid to persecute me. After EFCC went to break down my house in Kano, for the first time since this persecution started, I shed tears. I can now understand why people lapse into depression, how people resort to self-pity. I shed tears not because of what they did, but I just could not believe that Nigeria has become like this — a country where anything goes. EFCC has become a willing accomplice in the hands of those after me apparently because as attorney-general, I sought to curtail the excesses of the agency based on the provisions of the EFCC Act and Section 174 of the Constitution on the powers of the attorney-general. I came up with regulations to guide their conduct. They were carrying on like a parallel government and I believed it was not good for them. I did not make the regulations all by myself. Our development partners offered the suggestions and we involved the Nigerian Bar Association, the civil society, a representative of the EFCC itself in making the regulations. They were not happy at all. I was subjected to attacks in the media. I was particular about the receipt of foreign grants and management of recovered assets. Today, management of recovered assets is the biggest integrity challenge facing EFCC. If they had followed the regulations, they would not have run into the problem they eventually ran into. TheCable: Our impression here in Nigeria is that you are running away. You have said that you are not running away but you would rather tell your story alive. Adoke: I will bifurcate my answer and repeat what I said earlier on. I want to say again that I am not running away from Nigeria. Before the 2015 elections, I had made up my mind to go back to school whether or not President Jonathan got a second term. I opted to study pubic international law because as you may be aware, I was elected as a member of the International Law Commission. After the election, I got the admission and went to do an advanced LLM at the University of Leiden, The Netherlands. Before I travelled, something interesting happened. On the 20th of May 2015, a security officer in the Presidential Villa approached me and said, Sir, please whatever you do, leave Nigeria before the 29th of May. I dismissed this straightaway with the wave of the hand. He came back again and said, Sir, I am serious, you’re one of the few ministers who were nice to us, please leave on the 28th. On the 28th in the morning, he met me at the villa again and said, Sir, I hope you’re leaving today and I said yes, just to dismiss him. I could see disappointment written all over him when that night we went to the villa at the dissolution of the federal executive council. He saw me again and said, Oga, you’ve not left? I said yes, but I would leave. He said today is gone but please make sure you leave in the morning. Then in the morning, I went to the airport in company of the former vice-president. President Jonathan was to hand over and meet us at the airport. While we were there, an incident happened that showed me that yes, something was amiss. The holding room where the president sits until the plane is ready to ferry him, when President Jonathan came, the boy that was supposed to open the place for him had already disappeared. Nobody opened that place for us. It was a hostile environment. We were less than two, three hours out of office! I was very downcast and disappointed. When President Jonathan left, I went home. Then I met this same security officer. He said, Sir, I beg of you, please leave tonight. I said to myself, well, God is speaking to me. So I took my beg, went to the airport and bought Lufthansa ticket and left Nigeria to go for a well-deserved holiday. I came back to Nigeria to pick up my things to prepare for my LLM programme, which was to commence on the 20th of August. It was while I was there that I got a call that EFCC wanted me for questioning over OPL 245. I found it very curious and funny. I found it suspicious. I felt if they wanted information the first thing to do was to approach the sitting attorney-general since government is a continuum. They should normally say to the attorney-general, we are investigating this issue, please furnish us with documents and information on this and that. More so, I had previously written unsolicited to the EFCC and they had expressed satisfaction with the way the transaction was handled. Being a law-abiding citizen, I got my lawyers to write to EFCC that I was preparing for my examination and that I would not be able to honour their invitation. I promised to come in on the 28th of December, 2015 to honour their invitation. Then one of my friends, I won’t mention his name, said he got a call from somebody saying they knew he was my good friend, that he should talk to me to “settle” them if not I would have serious problems. My friend said he started laughing. He called me and told me, and I said he should not worry, that I had done nothing wrong and I had no money to give to anybody. But that put me on the alert. Then on the 21st of December, I finished my examination. I told all my children that they should not go to Nigeria yet, that we should meet up in Dubai and have a good family Christmas we had not had in a long while. Then I would be proceeding to Nigeria to honour an invitation and that I was sure by first or second of January, I would be back for my studies. That was my mindset. I booked my ticket to be in Nigeria on the 27th of December. So while I was in Dubai, I kept on getting calls telling me there was a plan to humiliate me. I laughed it off. I still did not take it seriously. I prepared to go on the 27th. I never thought that what they were telling me could happen in Nigeria. I said we are running a constitutional democracy. I knew it could happen under a military regime, but not under a democracy. On the 26th, in the evening, my son showed me a news flash that said ‘former AGF Adoke to honour EFCC invitation on December 28, to be arrested, detained and charged to court’. My children said, Daddy you are not going back to Nigeria in view of these revelations. That was how I changed my mind. A friend of mine whom I had earlier sent to them said they kept calling him to say, is he coming? He tried to convince me, and I almost changed my mind, but he too had a change of mind and advised me not to come. Then something significant happened. The PA to the solicitor general/PS at the ministry of justice by the name Shehu Bida passed a message to me that there was a plan to disgrace me over this Malabu issue, but somebody was requesting that if I paid $3 million to them, then they would take me to see a certain big woman in the villa, they would take me to see the vice-president, they would take me round and then the matter would die down. I said where would I get that kind of money? Then he said, in Hausa, that no matter how small, I should find something. I was accused of taking $2.2 million bribe and I was to kill the case with $3 million! Isn’t that ridiculous? Before then, I almost forgot, on the 27th of December, I was in a Dubai hotel when Vice-President Yemi Osinbajo, GCON, walked in. I couldn’t believe my luck. I greeted him and he received me very warmly. He was extremely pleasant to me. I told him I had been hoping to see him. I asked for an appointment. He asked his ADC to sort it out. I used the opportunity to prepare a detailed brief for him. I had been told that the Milan investigators already came to see the president over the Malabu issue and the president passed the papers to the VP. I was confident that since he too is a lawyer and had handled similar transactions before, like Enron and so many other things, when he was attorney-general of Lagos state, he would be in a better position to look at the issues and advise government appropriately. That must have been a mistake on my part from the look of things. He acknowledged receipt of my letter and all the attachments that I sent through Senator Andy Ubah. I copied the DG of SSS and even the EFCC itself, as well as the attorney-general’s office. It was necessary because they started playing funny games at the ministry of justice, where the solicitor general/permanent secretary was then acting when ministers had not been appointed. They lied that I did not leave any files behind. It was my secretary who debunked the claim when the attorney-general was appointed, he was able to retrieve the files from the solicitor general/permanent secretary’s office. By the way, the same Lawal Abba is the solicitor general/ PS’s best friend. They are always together. They are like twins. After my detailed brief was sent to the VP, the same Lawal Abba went about telling people that if I think I could get succour from the vice-president, I was deceiving myself. He said the vice-president was with them. He said they had reached the vice-president and told him everything. Incidentally, I never heard from the vice-president again. I did not return to Nigeria because I had even been told that an operative had been planted in my house that was to inform EFCC as soon as I landed. Some operatives were waiting at the airport. I was not to be allowed to come into my house if I came through the normal route. I was to be whisked away and taken to detention. But if I came by some other route, the operative was to inform them I was home so that they could come and grab me with a lot of media sensation. All these pieces of information made me conclude that this is not a normal situation. And in an abnormal situation, you cannot take a normal decision. The world should hear your own side of the story even if you are going to die. It is not about dying. It is about documenting history. There were lots of attacks on me in the media, all kinds of lies and tales from EFCC. TheCable: We understand your residence in The Hague was searched when you were doing your programme. Is it true? Adoke: Yes. One day, I went to use the library at the International Court of Justice. While I was there, my instinct kept telling me, Go home. I came out of the library and entered the tram, and got down at the train station. I then took another tram to go to my house. When I entered the tram, my instinct told me I was being followed. A certain guy was behind me. I felt this guy was following me. I become alert. The tram stopped in front of my house. When I got off, the guy didn’t come down, so I said maybe I was overreacting. My gate is an electronic gate. As I opened my gate and walked into the common area, I just heard, Excuse me. The guy flashed his badge at me, and said he was from the financial intelligence unit. Before you could say Jack Robinson, two more persons had followed him in. Then they said my house was under search. That was my first Gestapo experience in life. I opened the door for them. My phone rang and they said, No, you cannot pick your call, switch off your phone. My first instinct was to ask, Can I call my embassy? They said, No, not at the moment. Can I call my lawyer, they said, No. Then I knew they had made the first tactical mistake but then I kept quiet. It’s my fundamental right to call a lawyer. They took my laptop. I have an iPad and two laptops. All for my academic work. After some time, an Italian came in. Some Dutch guys also came in. Then that guy that was in the tram also came in. That gave me some kind of psychological fright. I asked them, What exactly are you looking for? They said they were investigating money laundering and corruption. I kept quiet. I could feel my blood pressure shoot up. They allowed me to take my drugs. They said I could even eat if I wanted. They were very patient. I asked them, What are you waiting for? They said they were waiting for the judge. I was now more specific, What is the matter? They now said they were investigating OPL 245. When the judge came, he said they must have told me why they are here. I said yes. He asked me if I had any money or documents at home. I said yes. I had plenty money and documents. You could see the excitement. They had been told from Nigeria that I am a thief, that I had so much money. EFCC had stationed all their media outlets to be on standby, that a sting operation was going on in my house in The Hague and they were about to catch a thief. I took the investigators towards the door. They must have been wondering that if I had so much money, why would I take them downstairs instead of upstairs. I have a coin box. In it was €60. I told them, That’s my money. They said, No no no, not this kind of money. I told them this is the only money I have at home. I now said, You are looking for documents on OPL 245? Then come with me. I took them up. I had prepared about 12 bundles of the documents, and distributed to various places, including EFCC, office of AGF, ICPC, VP and others. I had three bundles left. They wanted to take the three and I said, If everybody was taking everything, you won’t have met any bundle with me. The judge told them to return two, but they still didn’t do that until my lawyers wrote them. They then stripped the house and found nothing. They thought I owned the house, because the Nigerian embassy had written to them to say I bought the house. The investigators believed the Nigerian Embassy. They were shocked when they saw the lease agreement and discovered that it was a rented accommodation. I laughed. They took my credit cards, which were well spent at that time. The credit cards really helped me. Without that, I would have died of hunger in The Hague. This was somebody who stole $800 million, according to EFCC. They searched they didn’t see anything. They now said I should sign that they took some documents. They took my bank statement, which showed that I had about €18,000 in my bank. Out of the €18,000, the school transferred €15,000 to me, because for the embassy to give you visa, you must show evidence by paying to the school your maintenance allowance. So when I opened the account, they transferred the money back to me. After they left, I hallucinated for three days. The next day, the EFCC media outlets were disappointed that they couldn’t find anything to report. The big thief had not been caught! They still reported a few lies though. Four days later, the investigators called me and said they wanted to come and have a friendly chat with me. I told them they were free to come but my lawyer would be there. When my lawyer came, she said since I was under suspicion for money laundering and corruption, I had nothing to tell them. Brilliant young lady lawyer. She said anytime they were ready for proper, formal investigation, they should let us know. I then got a letter from the Italian prosecutor that they wanted me to come to Italy, they wanted to interview me about OPL 245. My lawyer got an Italian lawyer to write them that I was preparing for my exams and there was no free period for me to come to Italy. They now said they would come to The Hague. On the appointed day, sometime in May 2016 after my final exams, I got there and the Dutch authorities said they were taking my statement as a witness. I cooperated with them. For the first day, I gave them all the statements. The Italian people were also there, but their main prosecutor did not come. The next day when we were supposed to continue, the Italian main prosecutor was there on that day. The Dutch people said I was giving a statement as a witness, but the Italian guy opposed them, saying I was under investigation by EFCC and therefore I was a suspect. My lawyer then said the interrogation was over, that Mr Adoke would exercise his right to silence and would not say anything further. Then the Italian guy made a mistake: he accused me of not having respect for law officers. I told him if I did not have respect for them, I wouldn’t have cooperated with them. I said I spoke with them as a witness, but he was now saying I was a suspect, so I have the right to change my position too. He now said, It is all about your life. Note that again. My life! I told him I didn’t know that my life was under threat, but now that I know, the Dutch authorities owe me the duty of protection. He knew he made a mistake. I stood up and left, and my lawyer told them I would not give any further testimony. I told the Dutch guys, you have treated me very well, any day anytime you need any information from me, please call me and I will talk to you without the Italians. And anytime I ran into any document that I felt would be of importance to them, I would hand it in. Ever since then, I have not heard anything from them. I go in and come out of The Hague freely. TheCable: From what you have said so far, you seem to suggest that you have offended a lot of people who are now coming after you. You have mentioned a former vice-president, the Abacha family, the EFCC establishment and so on. Why do you suspect them? Adoke: Are we still talking about suspicion? It has gone beyond suspicion. Mohammed Abacha has now filed a case in court over Malabu. Something is giving him confidence. Some people are promising him he could use the court to get the oil block. Yet by virtue of Decree No 53, the family had forfeited all identified assets to the federal government. In fact, all undeclared assets were also forfeited. Lawal Abba is telling everyone he is working for Atiku Abubakar in this matter. He claims to be the agent of Atiku and Reuben Fasawe. People should ask him how a sitting wice-president could acquire shares in OPL 245 as claimed by Lawal Abba. People should ask appropriate questions such as whose interest Fasawe is representing in OPL 245/Malabu? People should ask if in a decent country, the children of Abacha could come out openly to say ‘we own OPL 245′ when the oil block was awarded by their father. Should they have been so confident to lay that kind of a claim? Why has the EFCC not gone after them to ask how they acquired interest in OPL 245? If not that the political environment is conducive for them, they wouldn’t raise their head to be making such claims. TheCable: What do you mean by conducive political environment? Are you suggesting they are strong in this government? Adoke: Clearly, they have sympathisers in this government. For the eight years of President Obasanjo, the Abachas never came out to make a claim to OPL 245. They never tried it under President Yar’Adua either. Under Jonathan, they never came out to assert any claim as they are doing today. But under this government, they are feeling so comfortable to make such an audacious claim, even filing a court case, and the EFCC is not going after them. State institutions are working for them. This is very dangerous. TheCable: Are you suggesting that they are working hand-in-glove with people in power? Adoke: Mohammed Abacha has boasted to someone about his links to the Presidency, but I have my doubts about that because everybody knows that on the issue of corruption, President Buhari is very stern and he is like a Trojan Horse — when you tell him somebody is corrupt, he doesn’t see the other side until he pursues it to a logical conclusion. But it seems they have been able to get some people very close to the president to paint a picture different from the reality. That is why it is imperative to state the correct position so that this thing can become public knowledge and the president himself who is being screened from knowing the real truth about OPL 245 can know the exact story. TheCable: Was your house in Abuja also searched? Adoke: I heard the story. My friend’s wife was calling me frantically, that she understood my house was being searched. That the government was looking for money. She was distressed. I told her not to worry, that I don’t have any money. As it turned out, it was not even my house that was searched. Apparently, somebody misled them. Let me tell you something. The last two years have been very tough for me. If indeed I have the kind of money they are talking about, I wouldn’t be living on handouts from friends today. Before I came to office, I had a successful legal practice. I was also an international arbitrator. Because of this hounding, my legal practice has virtually collapsed. The negative stories have also affected my position locally and internationally. It is double jeopardy for me. I have not earned any income since I left office. Is this what I deserve for serving my country for five years? At the end of the day, I cannot move on with my life because some people feel offended that while I was in office, I did not play ball. TheCable: Did EFCC explain why your house in Kano was searched? Adoke: No. But I understand they were looking for documents. When Obasanjo denied any knowledge of the Malabu deal and a document surfaced that proved to the contrary, it seems the authorities believed I leaked it. They think I still have documents that will implicate many others. They also think I may be in possession of documents that they can use to nail me. That’s why they are searching everywhere now. TheCable: Magu comes across as a courageous and determined anti-graft czar and a man of integrity. It is difficult to accept that some people are using EFCC under him against you. Adoke: This thing I want to you, please you can crosscheck from the former EFCC chairman, Ibrahim Lamorde. When he was made EFCC chairman in 2011, I asked him to tell me what he needed to succeed in his assignment. He pleaded that there were some crack officers he had worked with in the past in the EFCC who had been removed and sent back to the police. He said he wanted them back. I told him to write a letter to the police management requesting for them to be reposted to EFCC. The police were reluctant to release some of them for one reason or the other. Among them was Magu. I called the inspector general of police and made the request and insisted, and he agreed. There were so many negative comments about Magu but I was not bothered. Please ask him if I ever told him the role I played in his career, if I ever asked him for a favour, if he ever paid me anything. Because if I’m a corrupt person, I would have approached him all the while for a favour. I understand that he has been telling people that he is not my problem, that it is some powerful people that are after me. I was in government for five years and I understand how these things work. I have decided to be quiet about all these things until now. A very, very influential governor asked Magu what was the problem with me and why he was after me, and Magu said he is not my problem and I should go and sort out my problem with the vice-president, that the vice-president is the one that asked him to go after me. How authentic that is, considering the politeness with which the vice-president attended to me in Dubai, I don’t know. But this is not the first time I’ve heard that. Magu’s chief of staff also voiced a similar sentiment, that the VP said they must get Adoke at all costs. TheCable: But did you ever have any problems with the vice-president? Adoke: No. Not to the best of my knowledge. There are two possibilities. Maybe those who are fighting me had an audience with him and persuaded him to go after me. I know that Lawal Abba is very close to VP’s boys. Don’t forget that he boasted that if I think the VP would help me, I was wrong, that they had reached the VP before me. Lawal also tells people that Magu is his friend. The other possibility is that in an interview I granted THISDAY in 2016, I did make reference to the Halliburton case in which we used lawyers to recover monies from the foreign companies that bribed Nigerian officials. I did make the case that we would give the lawyers commission on whatever they recovered, and that the federal government would not pay them for their services. I now referred to the Pfizer case in Kano and mentioned the VP’s name as one of the lawyers who got paid by Pfizer in the settlement of the case. I said government did not pay any lawyer. I said that was the model we adopted in the Halliburton case too. I mentioned the names of the lawyers who got paid by Pfizer as Chief J.B. Daudu, SAN, Professor Yemi Osinbajo, SAN, a host of other Nigerian lawyers, including Mariam Uwais. Their fees were paid to them by Pfizer through Mr. Tunde Irukera. It was the same method we used in paying the lawyers in the Halliburton case. I was told that he was very bitter that I mentioned his name in that transaction. That could possibly account for his hatred and current contempt for me if indeed it is true. It is still speculative because the person who told me was not very certain. Maybe that is possibly the reason why he is trying to get a pound of flesh and supporting the people I offended in the Malabu transaction to come after me using the EFCC. If that is true, I use this medium to apologise to him. I use this medium to confirm to him that the statement was not made in bad faith. It was just to amplify the fact that the model we used for Halliburton was not strange, that it had been used before. It was merely illustrative. I sincerely ask that since he is a Christian and a pastor, he should forgive me if that is what is agitating his heart. It was never meant to slight or impugn his integrity. TheCable: If the federal government assures you of your safety, that no harm would before you, would you be willing to return home to face the EFCC? Adoke: I will definitely come back, if I have the assurance that they will not harm me, they will not humiliate me any further, they will respect the laws of the land. If I am arrested and granted bail, I hope they will obey the court and not treat me like they have been treating others, they will not scandalise me, and there will be no mob trial, media circus, certainly I will return. But I will tell you something: that is not the environment that exists in Nigeria today. That is where my fear lies. Also, I cannot underestimate the extent to which those after me can go considering the enormous power and influence they have in the government of today. I was in a restaurant in an African country recently with a cousin of mine. Somebody then walked in. He is the grandson of an influential Nigerian who is dead now. As we got talking, he didn’t recognise who I was. It was while we were talking that he asked me if I was Mr. Adoke. I said yes. He said, Oga, you are a very lucky man. He said I was supposed to come to Nigeria on 28th of December 2015. I said yes. He said it was good you didn’t come. He said ‘you were lucky’. He said the instruction by those after me was that between the airport and my house, I should be taken out. He said you were very lucky. He said, Even though I don’t know you, incidentally I like you, that day when I went to my house, I was wondering: so this is how Nigeria wastes people. He said he knelt down as a Christian to pray for me. He said he read Psalm 91 in his prayers and when he heard that I didn’t come, he was very happy. He said, I beg you in the name of God, don’t jump in front of a moving train because you want to prove a point, you must be alive to prove that point in the fullness of time. That remains the fulcrum of my decision not to come back to Nigeria for now. You described Magu as a man of integrity. I don’t know about that. 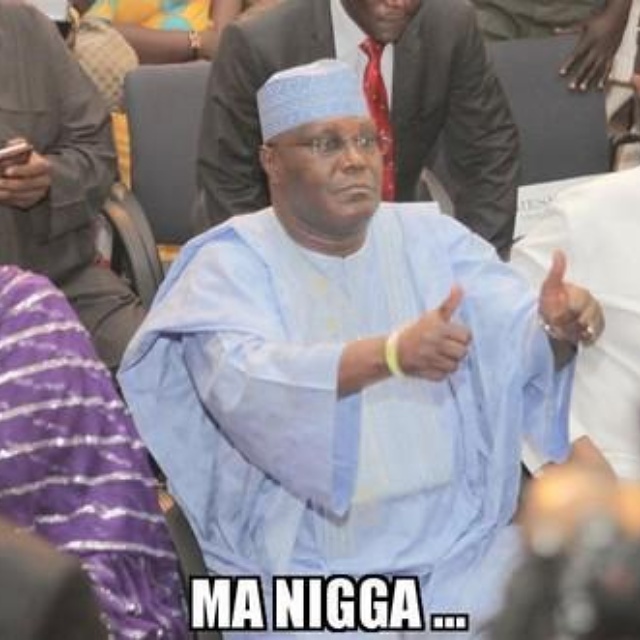 A senator asked him if he had any personal issues with me, and Magu said I owned half of the Centenary City. That is ridiculous. I opposed the Centenary City right from the beginning. Anyim Pius Anyim is my very good friend. We never had any disagreement until the issue of Centenary City came up. I opposed it. Yet Magu was saying so authoritatively that I owned half of it! He said he had information. How can you come to such a strong conclusion without proper investigation? And it is based on this that you allow those after me to use you? He was saying he would deal with me, he would finish me, he would disgrace me. He has absolute hatred and contempt for me. Based on false information! Where is national interest in all this? How do you expect me to have confidence in such a person? It has become very easy to use the EFCC against me because they had an issue with me in any case. They did not like the fact that I insisted on creating a Proceeds of Crimes and Asset Management Agency independent of EFCC to manage recovered assets. I did not act on my own. It was our development partners that suggested it and I agreed with it. It is in the interest of the country that EFCC should be transparent in its activities. But the officials of EFCC hated me for this. If you have an institution like that with consistent hatred and contempt for you, how do you subject yourself to it and believe that you will get justice, that they will be fair to you? Don’t forget that some suspects have died in EFCC detention facilities. I was told that arrangements had been made that even if I made it to EFCC detention, then I would die in questionable circumstances. They would arrange with some phantom doctors to conclude that I died of heart attack. How do I now subject myself to these guys? To prove that I am a hero? I’m not running away from Nigeria. I served in one of the highest positions in the country and I gave my best. I am 54 now. I have no other country but Nigeria. The Abacha family has every reason to fight me. It is beyond OPL 245. It was just an excuse for them. The truth is that we made so many recoveries from the Abacha family. Most of the recoveries being brandised today were products of my efforts as AGF working in conjunction with the office of the national security adviser and our Swiss attorney, Mr. Enrico Monfrini. These were recoveries that we did not repatriate to Nigeria before we left government so that nobody would say we repatriated the money in order to loot. That is why the monies are just being repatriated now. Magu even said that I collected £25 million from Jersey and shared with my friends. This is incredible. It is so easy to trace. Let them go to Jersey and investigate in this era of paper trail. You can trace this money. They just simply scandalised my name. When they discovered that the money went into the federal government account in Basel, nobody ever talked about it again. But on record my name has been scandalised simply because a so-called human rights activist asked for that case and I refused to give him. But he didn’t tell people that I gave him the case of Enron in the US to handle. I paid him. He didn’t tell people all that he benefitted from me, and how he sent several people to ask for favors for my office, including seeking an appointment for his wife. Senator Ali Ndume is one of those putting fuel in the fire through EFCC. He believes I was responsible for his trial over the allegation that he is a sponsor of Boko Haram. But he has forgotten that he was named positively and clearly by one of the convicted Boko Haram suspects that he was the one giving the names of government officials, including my name, that they should continue to terrorise us that we must do ABCD for them. He is one of the closest people to Magu and has been boasting around that Magu would even scores with me. People have forgotten that Boko Haram bombed my house in Kano. I was the only public officer whose house was bombed but who did not collect compensation. The house is still there. There are many things I don’t want to talk. So many people are fighting me and the EFCC has become a willing tool in their hands. Even I am told that the Tinubu people think I was the one responsible for his trial at the Code of Conduct Bureau, but I was not the one. In fact, when the government wanted to appeal, I stood my ground that Tinubu should not be disgraced. I argued that there are people in Nigeria that we just cannot afford to rubbish over nothing. Tinubu knows very well that I did that. There was nothing legally possible that Tinubu wanted that I did not do for him, which made people even accuse me of working for the opposition at that time. What Tinubu doesn’t know is that some people called me recently that 2019 is approaching, they need to clip the wings of Tinubu, I should supply them with documents that they could use, documents on his certificate issue and all that, and I told them to leave me alone. I had the documents as AGF but I never acted. Now that they are breaking into my houses, I won’t be surprised if it is part of what they are looking for. I am pained, really pained as I speak. I can’t take care of my children. I’m losing it all. My family is in disarray because of this persecution. If I had the kind of money they are accusing me of stealing, I will use it to fight them. Fortunately for them and unfortunately for me, I don’t have money. If you don’t know me, you would think I’m a monster the way they have been painting me. TheCable: You seem to have some sympathy for the president. There was this report that you refused to file a case of perjury against him before the 2015 elections. Is it true? Adoke: It is true that some people came to me and said Buhari should be disqualified because of certificate forgery. As a man with fidelity to the constitution, I dismissed the suggestion quickly. In fact, there were cases in court which I felt were not necessary. They were already becoming a security threat. As a responsible attorney-general, I believed we did not need further crisis in the country. Boko Haram was enough problem for us. I resisted pressures to compound the security challenges in the country by filing or authorising such cases to be filed on behalf of the government. I was not doing President Muhammadu Buhari any favour, I must say that. I was being faithful to the laws of the land. That was the duty expected of me. If you call that sympathy, so be it. But I didn’t do him a favour. Copyright 2017 TheCable. Permission to use quotations from this article is granted subject to appropriate credit being given to http://www.thecable.ng as the source. Don’t get it twisted: this article is not for or against the serially blurred transactions in the OPL 245 Malabu oil bloc controversy. It is against former President Olusegun Obasanjo’s grandstanding and self-exoneration in the fraud, adding to the awkwardness of the characters of the people that rule this country and their absurdities. Two questions Nigerians should ask Gen. Obasanjo: who was Nigeria’s president and petroleum minister in 2001 when the prospecting license of oil bloc OPL 245 was revoked and ownership reverted to the federal government? Who was Nigeria’s president and petroleum minister in 2006 when, after a series of negotiations, the license was restored and ownership of the oil block reverted to Malabu Oil and Gas Limited? We always miss the point and end up wasting time investigating issues that logically lead us to nowhere. Was it not the height of irresponsibility for the elder statesman, who was both president and petroleum minister at the time of the controversial resolution of the ownership dispute around the oil bloc, to say in a recent interview that he considered the controversial award of OPL 245 oil field license as the “height of corruption,” and could not have participated in negotiations that led to the deal? Yes, it was Abacha’s government that conceived the original fraud in 1998, but we have since gone beyond that in the integrity issues at stake in this matter. Who would ever believe that this Obasanjo we know cannot remember ordering and/or signing any resolution involving a multi-billion dollar oil deal even when he doubled as both president and petroleum minister? How long can we continue like this as a nation? Is it this Obasanjo who is a well-known micro manager or another one? This is very awkward. The Nigerian constitution practically makes the president the only authority that can grant or revoke oil bloc ownership in Nigeria. It is very clever for former President Obasanjo to say he can’t remember, but is anybody deceived? Saying you can’t remember giving approval is not the same as saying that you did not give approval. You could have given approval and not remembered doing so. And how can we know what you chose to remember or forget when we are not God? Either Obasanjo lied or wants us to believe he was so grossly detached from his own administration to have a multi-billion dollar transaction (settlement, or rather peace deal) go down under his nose and he knew nothing about it. It’s the same thing with the Halliburton scandal and the sale of federal government assets; he knew nothing then and he knows nothing now. Haba ranka de de! Yet it is still a mystery how a man that said he had only N20,000 to his name when he was released from prison in 1998 could have become a multi-billionaire in dollars just within eight short years of service to his country. Gen. Obasanjo should stop insulting our sensibilities and answer to the charges against him. Is it not curious that 19 years after it was first awarded, OPL 245 has continued to generate controversy? The reason is very obvious. OPL 245 is located on the southern edge of the Niger Delta, in water depths ranging from 1,700 to 2,000 meters. The bloc holds significant discovered hydrocarbon reserves and is thought to be very prospective. Two oil and gas discoveries have been made on the bloc. Etan and Zabazaba were discovered in 2005 and 2006, respectively. Eni plans to develop the Etan and Zabazaba fields in phases with subsea wells tied-back to a leased floating production, storage, and offloading (FPSO) vessel. The bloc, considered the richest in Africa, is estimated to contain over 9 billion barrels of crude and even larger volume of gas reserves. For comparison, at Nigeria’s current OPEC oil output quota of 2.2 million barrels per day, OPL 245 alone can provide all Nigeria’s daily oil production needs for over 15 years. Malabu Oil and Gas Limited was formed on April 20, 1998 and was only nine days old when Abacha government awarded the company the most prolific oil bloc in Africa. Is Obasanjo claiming that he cannot also remember that following the out of court settlement which took place under him as president and oil minister that there were two agreements signed? First there was the Malabu Resolution Agreement, which supposedly settled all claims to the OPL 245 between the federal government and Malabu Oil and Gas for a consideration of $1.1 billion. Second was the OPL 245 Resolution Agreement. This agreement was between the oil majors – SNEPCO, SNUD, ENI, NNPC and the Federal Government accepting the OPL 245 for a consideration of $1.1 billion to be paid to Malabu. In this agreement, the federal government took care of its Signature Bonus which was paid by SNEPCO on behalf of SNUD (being an affiliate of SNEPCO). The Federal Government’s role in the second agreement was to take the money paid for the license by Shell and Eni and transfer it to Malabu Oil and Gas. The money was never owned by the government either as payment for exploration license, royalties or any fee whatsoever. So technically, the funds belonged to Malabu. Was this the reason why Shell and Eni paid directly to the Federal Government and the government immediately wired the money to Malabu? Yes, as claimed by former President Obasanjo. He was really angry with the initial award of the OPL 245 rights to Etete and the Abacha family under the Malabu conscription, but as alleged, he revoked the initial license in 2001 with the intention of grabbing the oil bloc for himself and a few others. But this did not work out as planned. The series of negotiations and renegotiations between 2001 and 2006 only ended up introducing Obasanjo into the ownership structure of OPL 245 and Malabu Oil and Gas Ltd. How did Otunba Oyewole Fasawe enter into the ownership structure of Malabu Oil and Gas the contending owner of the prolific OPL 245? And whose interest if Otunba Fasawe representing in the business? Abeg make all of una go sit down! Surprisingly, no one is asking why it took the Abachas and Fasawe 10 years after the first resolution agreement and 6 years after the payment to file their claim. As remarked by a brother, Innih, except as we have today, which other form of government could Mohammed Abacha have garnered the audacity to go to court over what was stolen in the first place? We are gradually getting to the bottom of this matter, as Mohammed Abacha in an interview has already threatened that Nigerians would be shocked to hear some ugly details of deals around the Malabu oil bloc controversy and the prominent names involved. God bless Nigeria! I’m happy the Senate did not succumb to Comptroller General of Customs, Hameed Ali’s implausible pretexts of avoiding either appearance before the Senate or wearing the service uniform. Since his illegal appointment as Comptroller General of Customs on August 27, 2015, Hameed Ali, a retired army colonel, flies the service aircraft, earns the service highest salary, occupies the top service office, but looks down upon the service uniform. He wants all the privileges attached to the office, except that grey uniform with green beret. That military elitism of looking at the police with disdain, the paramilitary with derision and civilian with contempt is still running in Hameed Ali’s veins. Haughty, asocial and absolutist, Ali is a terrible oddball under a democratic setting. But if Ali thinks their uniform is demeaning to wear, as his regimented, intemperate ego tells him, he should quietly leave the job for career officers or someone who could abide by the rules. It is not a matter of doing your job well, which is also put to question particularly by your senseless retroactive order on car duty payment. Ali’s order on mandatory duty payment for old vehicle owners is akin to forcing pre-JAMB era degree holders to sit for UTME and score 200 to validate their certificates or risk revocation of their degrees. On the uniform, Ali should be reminded that discipline as essential in military as it is in paramilitary service. As it depicts discipline, commonality and solidarity in military service, so it does in paramilitary service. When Obasanjo appointed a retired army general, Haldu Hananiya, as head of Federal Road Safety Corps, he wore the corps livery to show that he is part of it. To demonstrate how proper dressing symbolizes discipline, officers are even promoted instantly on the basis of how well they dress. What will Ali tell a senior officer found donning beret while eating or wearing No 2 customs uniform without tucking? How could you instil discipline when you are appearing in mufti, bearded like Mufti Menk, and expect others to look clean-shaven and appropriately dressed? On the illegality of his appointment, the law provides that the appointment of CG of Customs shall not be made except with the recommendation of the Minister of Finance, and among Deputy Comptroller Generals, Assistant Comptroller Generals and or Controllers, in the Nigerian Customs Service. When Ali was appointed, ministers were not even appointed. The Buhari administration, in its congenital procrastination, is also yet to appoint the Customs Board. Promotion is stagnated, decisions are taken arbitrarily, welfare and service motivation are at their lowest ebb. One need not be told that absence of motivation and welfare breed corruption. Again, take a look at Section 3.11:1 of the Federal Republic of Nigeria Official Gazette No 24 Vol. 89 of 25th March 2002, which provides that the choice of the comptroller-general of customs shall be by “appointment of a suitable Deputy Comptroller-General of Customs (General Duty)”. But someone whose appointment was a clear violation of the law is the one cautioning the Senate on the illegality of asking him to wear uniform. Hear the man in a letter to Senate on Thursday: “Regarding the wearing of uniform, I wish to advise that the Senate avails itself of the legal basis of its decision to compel me to wear uniform. Which proper legal framework is this man talking about?